With our range of high end fully equipped Hobie Kayaks, our aim is to take the hassle out of your fishing trip. We want you to be able to enjoy the beauty of the Clarence. We can tailor what we do to meet your requirements. 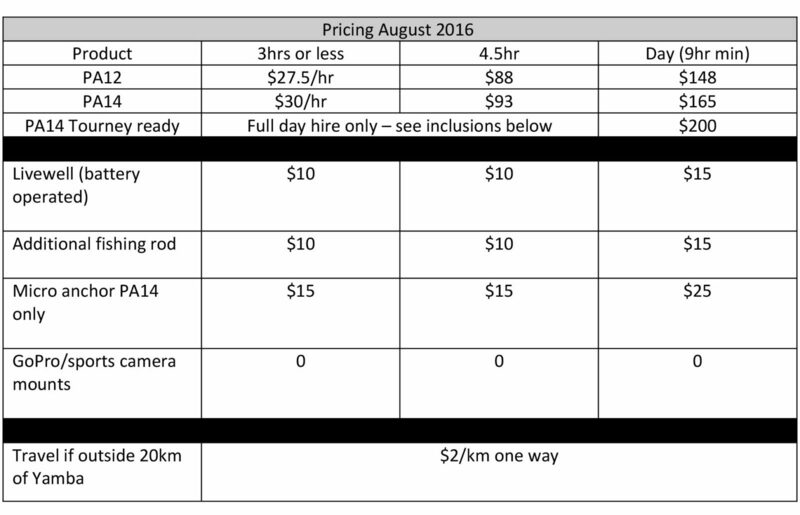 Below is our latest pricing. We have both the Hobie Pro Angler 12 and 14 available for hire. For more info on our kayaks click here. All hire includes as standard. The Pro Angler 14 Tournament Ready is our top of the line Kayak. Ready for every eventuality, this thing is fully loaded with more features than you could shake a stick at.